I’ve heard that if you really want to change you should tell someone because it will help you to be better and more accountable. Well, who better to tell than all of our sweet readers, right?! I have got to start making better grocery lists and then actually taking it to the store with me. 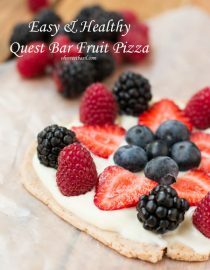 This quest bar fruit pizza was the result of a frustrating experience with extra large cupcake liners but good mercy it was worth it. But back to the list. I usually can keep everything in my head, but lately I’ve had a few things to get that aren’t in the norm, like the large cupcake liners and a needle (somehow I misplaced all of mine) and sure enough, I get home and realize I forgot both. 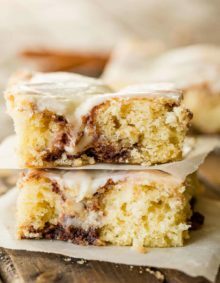 The next day I return to the store to re-shoot a recipe that tasted amazing but needed better photos and bam! I forgot the liners AGAIN!!!! Do you have any idea how annoying that is? Especially considering that it’s no one’s fault by my own. BOOOO!! Yeah, I need to be better. 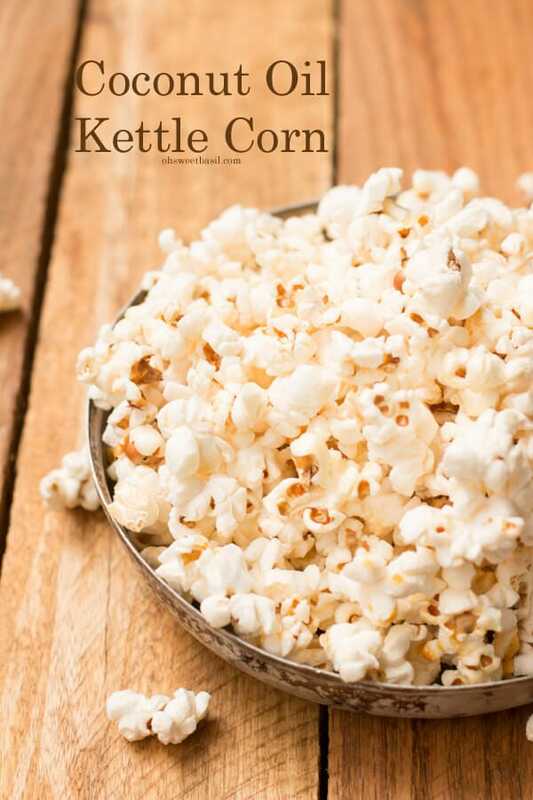 But at least we have a special treat that’s ok to eat later at night compared to candy bars or nachos. Or is it just us that get those hankerings? You can make fruit pizza up to one day ahead of time and store it (tightly covered) in the refrigerator. 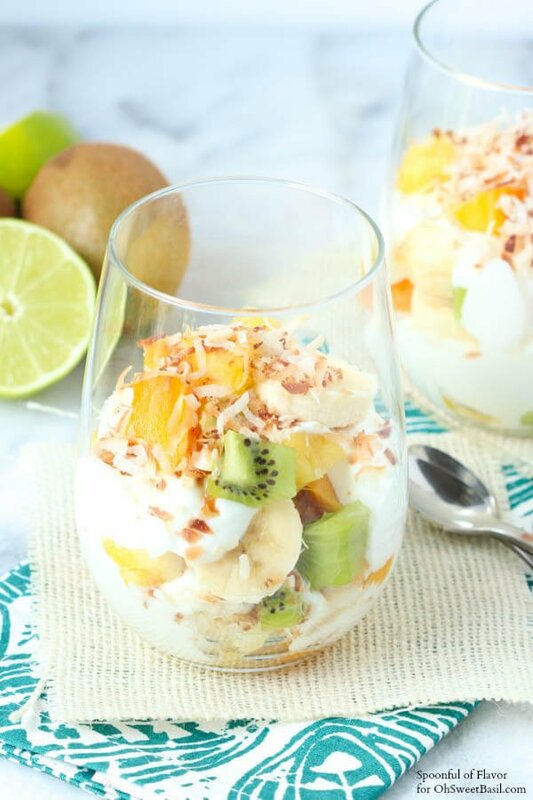 You may want to add more delicate fruit, such as bananas just before serving, so they don’t turn brown in the refrigerator. Quest bars are “low carb gluten free nutrition bars” found in most grocery stores. How Long Will Fruit Pizza Last? You can store leftovers for up to 3 days in the refrigerator. Wrap will in plastic wrap or foil. Unwrap the quest bar and place it on a plate. Microwave for 10 seconds and then break in half and stick the pieces into a square. 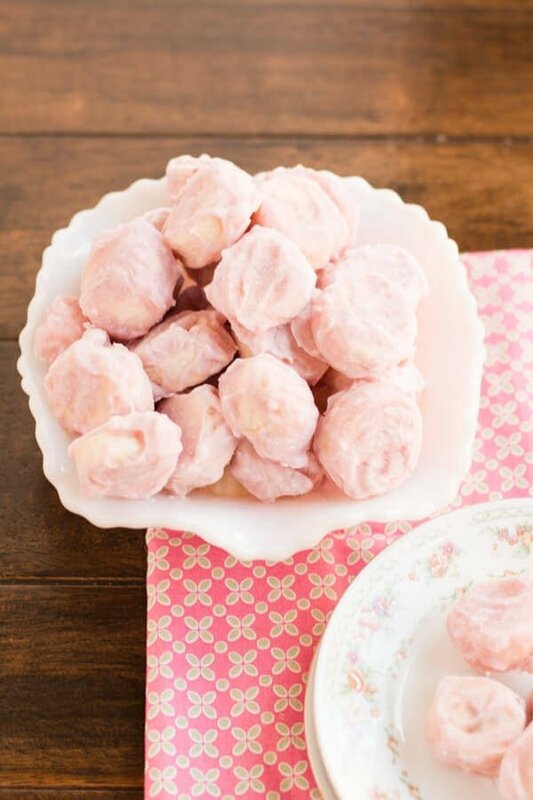 In a small bowl, mix the cream cheese, greek yogurt, powdered sugar, and orange juice until smooth. Spread over the quest bar and top with fruit. Yum! This pizza is the epitome of light and refreshing. Dying! Oooh all of these snacks look so good! 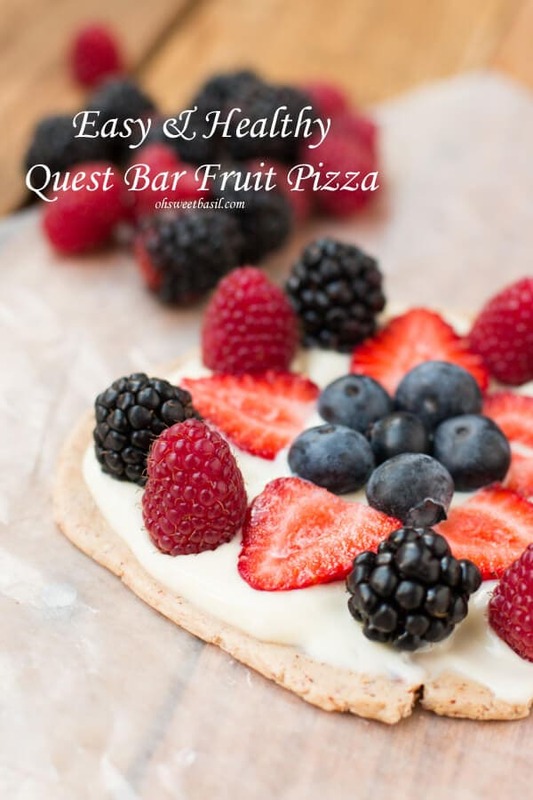 I have to say – Quest bar fruit pizza is a pretty amazing idea. 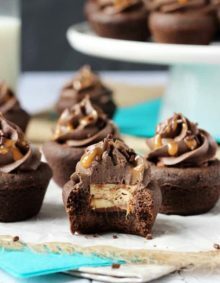 I could have some right now! thanks girl!!! How the heck are you?! I store my grocery list items in the Cozi app on my phone and that helps keep me focused at the store, since I’m easily distracted when shopping. The only problem is that I need to actually remember to input the items into Cozi when I need them otherwise they will be forgotten… That’s why my kids often hear me muttering “flour, butter, chicken…” while I search for my phone. 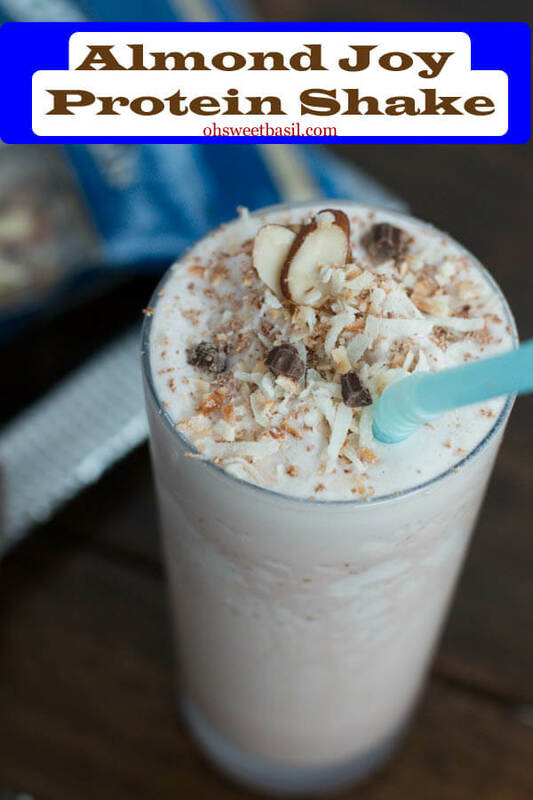 Great Quest bar recipe; I’ll definitely be trying this one! whaaaa?!!! I’ve never heard of that! Boom! I totally need to get it. I have to have a list with me for any type of shopping. I tend to focus on all the things I want and completely forget what I need. Lovely recipe! haha, exactly the same over here!